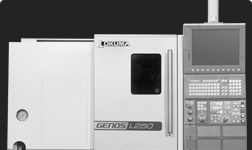 Unlike many entry-level CNC machines, the affordable GENOS L Series multi-function lathes provide the rigidity, repeatability and accuracy necessary for a wide range of production applications including hard turning. 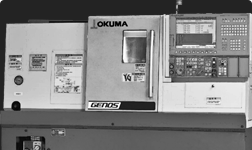 Like much more expensive machines, the GENOS L Series has a one-piece, cast iron base with a horizontal way system and hand-scraped headstock and tailstock mounting surfaces. 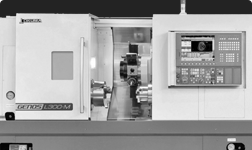 Plus, with 4 basic models and a variety of standard and optional features including 2-axis turning with live tooling, Y-axis, sub-spindle, A2-6 and A2-8 spindles, you can configure a GENOS L Series for your exact requirements. Functional, compact and affordable lathe. 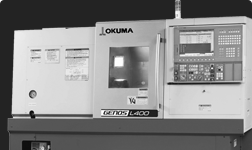 Adaptable, affordable and the most versatile lathe.